This is day 4 of the Advent Calendar of USB keyboards. 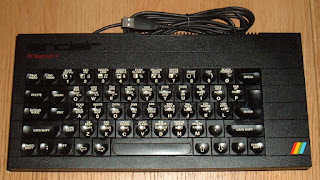 Today, a ZX Spectrum+ USB keyboard, but one with a difference. 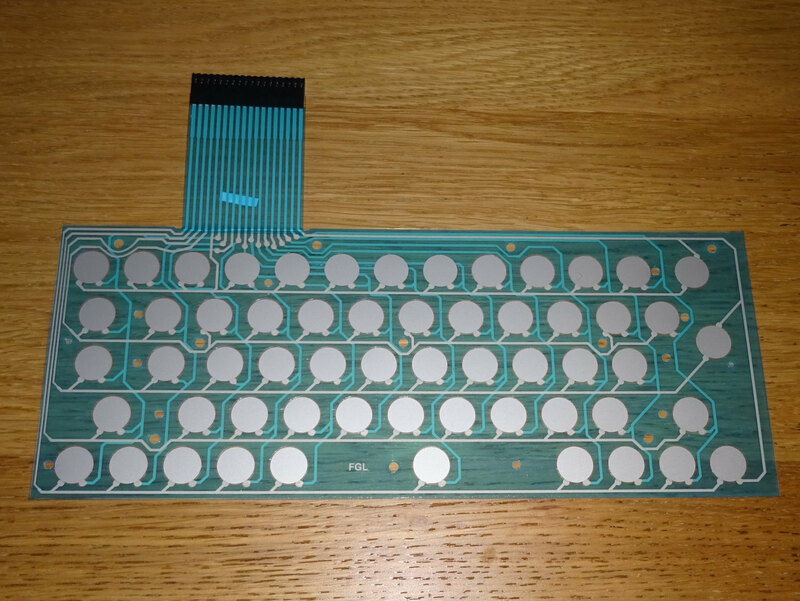 I've been selling these for a while, and since I moved to using custom membranes so I can map all the keys individually, they have been quite popular. 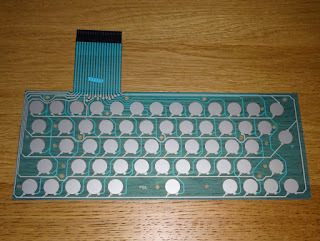 So much so that I am running out of these membranes, so get in quickly if you want one, not sure when I'll get the next batch in. 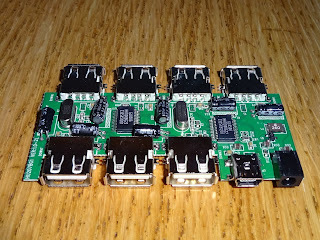 I have also been making USB joystick adapters, to allow original 9 way D Atari / Commodore style joystick to work as USB joysticks. 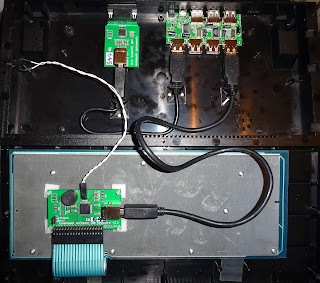 Last month I had an order for a ZX Spectrum Plus USB keyboard, and a USB joystick from the same buyer, so I offered the option of integrating the Joystick adapter into the ZX Spectrum+ USB keyboard. 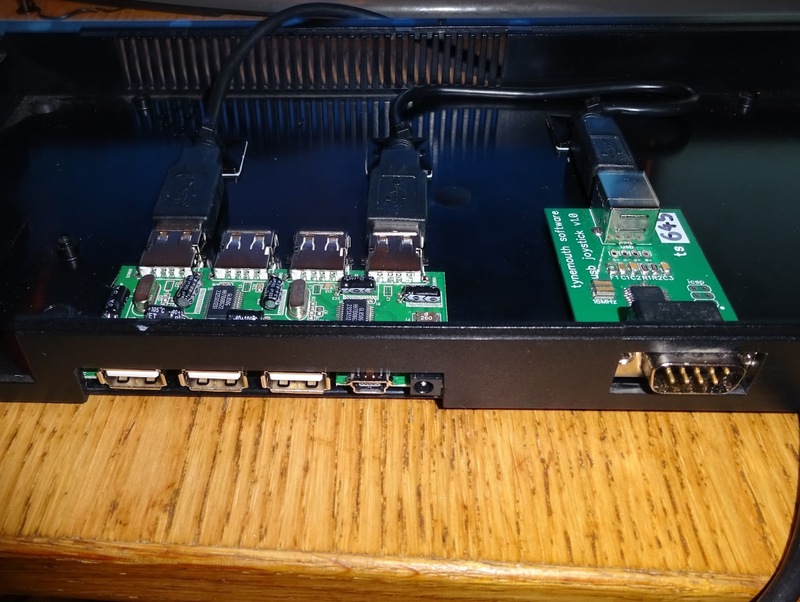 The initial plan was to fit a USB hub with both the joystick and keyboard connector plugged into it. This was all looking good, but unfortunately, when I came to close the case the USB connector on the joystick controller clashed with the USB connector on keyboard controller. 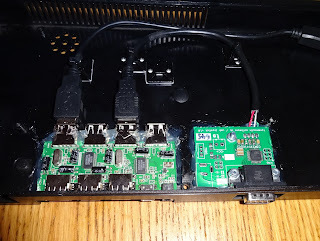 I couldn't easily move either of those, so I went to plan B, and switched to using a different USB joystick controller board. This is actually one I use on the ZX Spectrum Pi builds, it is for USB joystick and DC input, with a DC-DC converter to give a clean 5V for the Pi. 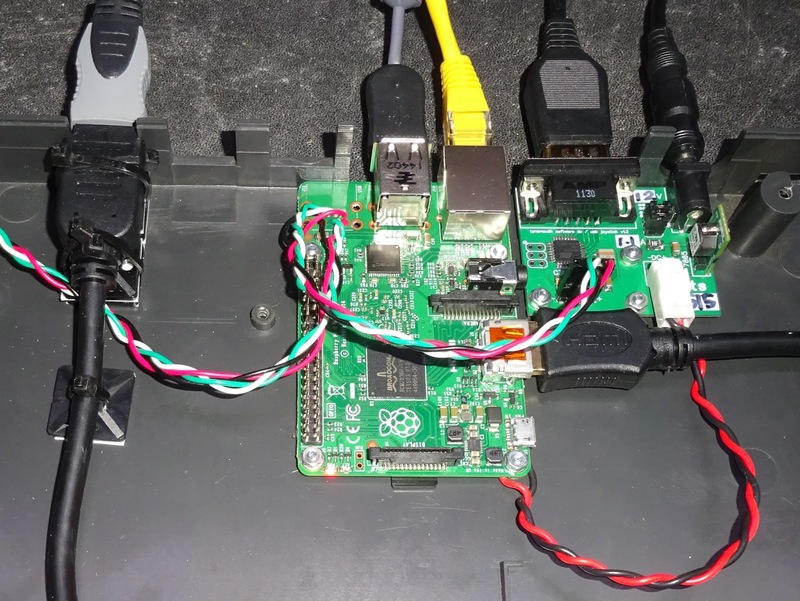 It is the same USB joystick circuit, just laid out differently as it has to fit in between the edge of the case and the HDMI connector on the Pi. This was smaller and lower profile, and fitted nicely, I left the DC-DC side unpopulated, and dispensed with the USB connector to reduce height. With the 3D puzzle solved, that no longer clashed with the keyboard controller. 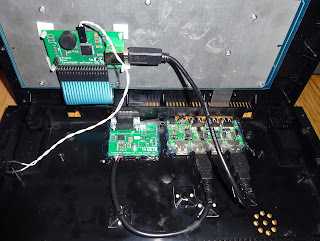 All the boards were fixed in place with the usual combination of self adhesive pillars, nuts and bolts, cable ties and hot melt glue. 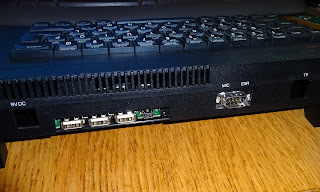 Externally there is a USB input connector, and three USB ports and the joystick port. There is an external power connector for the USB hub, should that be required, and also two spare USB ports inside that could be used for wifi adapters or wireless mice etc. 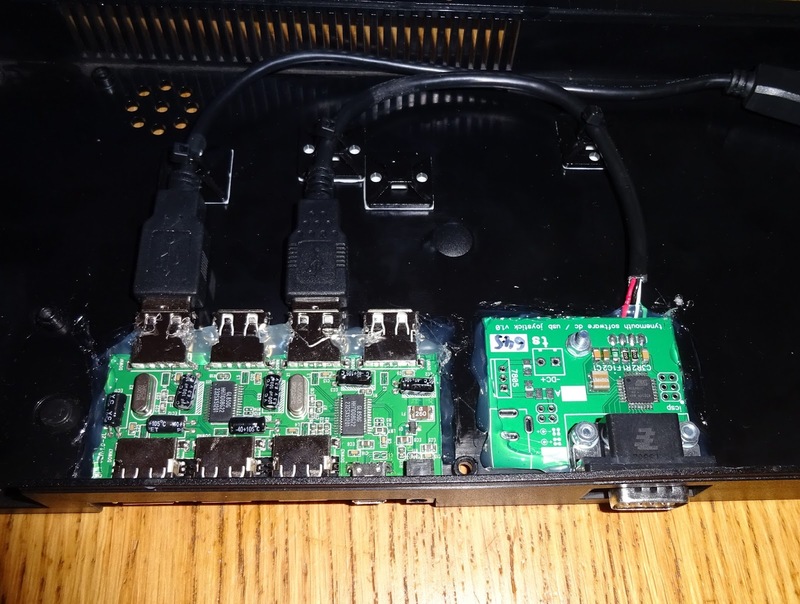 In normal operation, just plug in the USB lead and the joystick and fire up your emulator of choice. 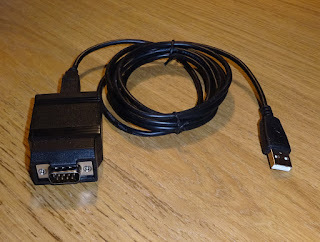 You can order an ZX Spectrum+ USB keyboard or USB joystick adapter, from my Etsy store, or if you want a combined unit like this one, order both together and let me know in the order comments. Tune in tomorrow to open another window on the Advent Calendar of USB keyboards. All content © Tynemouth Software. Simple theme. Powered by Blogger.